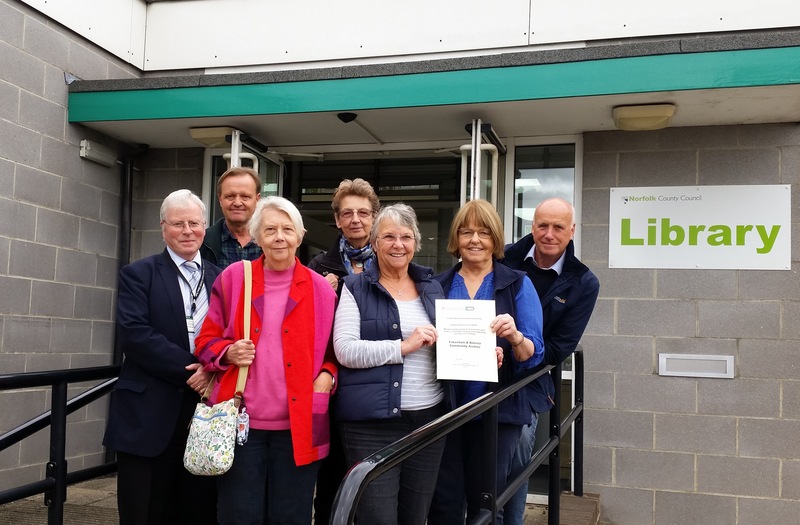 Fakenham Community Archive committee members Alan Leventhall, Howard Young, Anna Coburn, Mo Bruce, Lyn Maple, Chris Chalk and Peter Boggis, show off their CAHG Sustained Achievement award certificate outside Fakenham library. 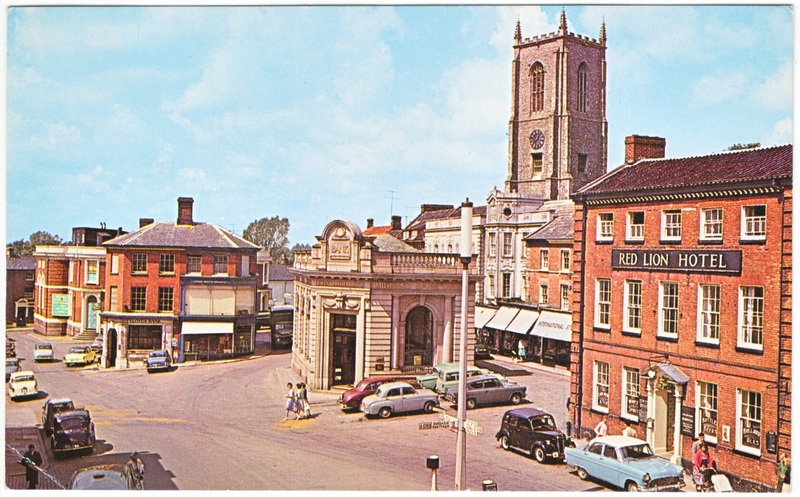 We are an enthusiastic group of volunteers dedicated to building a digital photographic archive of pictures and memories from Fakenham and nearby villages. Based in Fakenham, Norfolk, we meet regularly on the last Tuesday afternoon of each month in Fakenham Parish Church between 2.00 pm and 4.00 pm. During our monthly sessions visitors can browse our complete archive on laptops, look through scrapbooks and albums, watch a slideshow or bring in their old or recent photos or cuttings to be scanned into our archive (and returned). Coffee, tea and biscuits are provided, along with lots of interesting conversation and memories of yesterday. 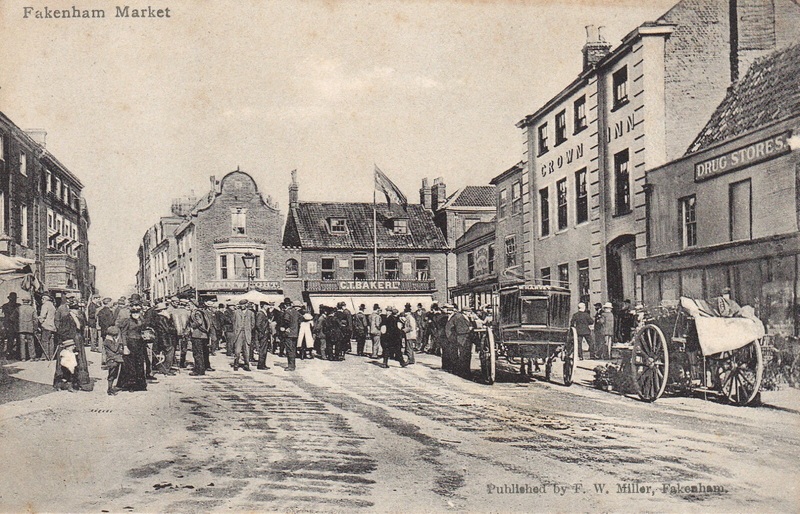 The Community Archive now have thousands of interesting photos of times gone by, all donated by the public over many years, these include people, places and events in Fakenham and the surrounding villages. Our website features just some of the thousands of interesting pictures which have been donated to us since the archive was founded in 2002. 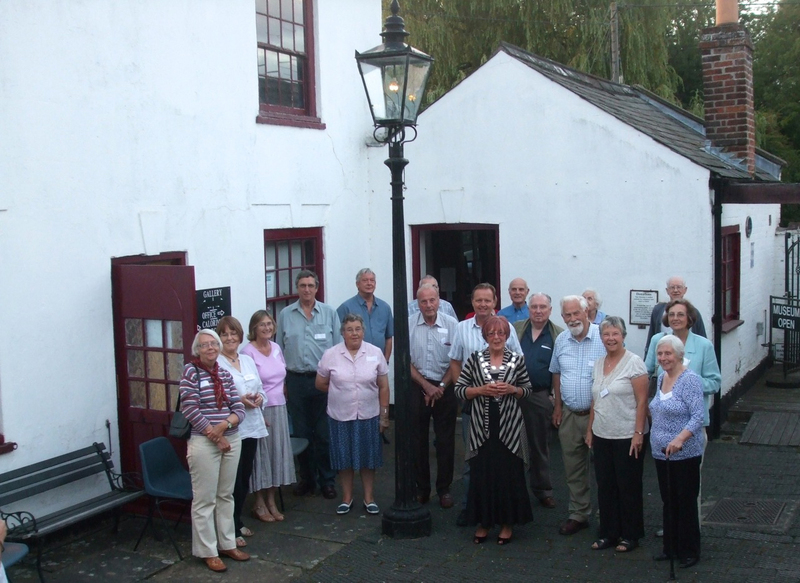 Fakenham Community Archive is a member of the ‘Fakenham Heritage Group’, which comprises: ​Fakenham Museum of Gas and Local History; Fakenham Local History Society and Fakenham Community Archive. All three groups work together with the common aim of recording and preserving the heritage and history of Fakenham and district. This archive entry was last updated on 3 March 2019. Information incorrect or out-of-date?